Connecticut vital records are available either from the state itself or from individual counties; birth certificates may be ordered from the town of birth or from the town where the mother lived at the time for $20, or from the state for $30. In either case, requests for Connecticut birth records must include a copy of a photo ID, such as a driver's license, or copies of two other forms of ID. Checks or money orders should be made payable to the town or city itself, while the state accepts money orders made out to the state treasurer. Connecticut death records work similarly, with $20 required in either case; for both births and deaths, records are available going back to 1897. 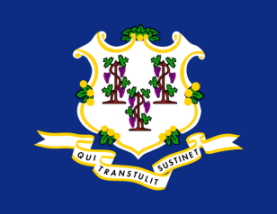 Connecticut is one of the six states of New England, which for several decades was a Republican stronghold. Note: Vital Records offices are located in each of the 169 towns in Connecticut. This office hold a registry-index. Certificate requests for events that occurred in Hartford must be directed to the City of Hartford Vital Records Registrar. Record Access Requirements: Certified records 100 years or older are available to the public. If less than 100 years, requester must be registrant, family, attorney with authorization, or member of an incorporated genealogical society. Search Note: The call center at this agency is open only from 12PM-4PM. Record Access Requirements: Connecticut death certificates are available to the general public. Anyone over 18 years of age may request a copy of any Connecticut death certificate. The call center at this agency is open only from 12PM-4PM.